CharyJay.com: Berry Me in Purple!! While most people are changing their fashion and beauty cosmetics to reflect the warmer weather and sunny days, I'm still having a love affair with fall's favorite color: purple! While purple has been my favorite color for years (blue and I broke up right after middle school), I've never been interested in wearing it on my face. I would even go so far as to say I was afraid of wearing something so bold, but now I can't get enough of it! To ease my way into the purple craze, I started off wearing a berry lipstick by Wet 'N Wild and wore a purple eye liner by NYX. 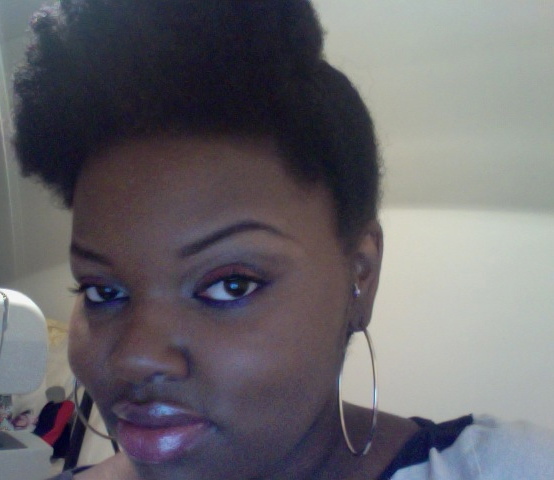 Then I graduated to Rebel by MAC and started playing with Plum and Fuchsia lip liners by NYX. At the peak of my purple obsession, I finally found Milani's baked eye shadow in Fantastico Mauve (the only want I initially wanted). That color sent my purple fixation into overdrive. It's gorgeous! To avoid the look of being seasonally confused, I wear these make-up products with warm colors and or with prints that will compliment the other colors. Next up on my lippie list is to buy Cyber by MAC. This color is definitely bold, but I think I can pull it off, at least I hope I can. I'll try it in store first and then report back if I buy it! Wish me luck, ladies!! From left to right: Luxe eye shadow by Brown Beauty Bar (review and giveaway coming soon), Wet'n Wild lipstick in 508A, and NYX eyeliner in Purple Blaze. MAC lipstick in Rebel (mixed with NYX lip liner in Fuchsia), and Milani Baked Blush in Fantastico Mauve. Cyber by MAC. Rihanna wears it beautifully. This blogger with dark skin sold me instantly. I'M ALSO A PURPLE LOVER ♡ ... You will look GREAT in Cyber. I just know it. Ahhhh! Purple...*drool* I love it too. GREAT Picks! I want Rebel by Mac and CYBER! I think purple always look nice on skin of color an you rockin it! I think the purple in all it's different shades look amazing on you. I've always wore purple eyeshadow but never as a lip color. You have encouraged me to dare to go into the unknown. Im late but I love the look. The colors are to die for. I want them all! 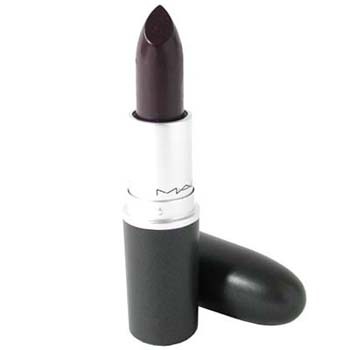 I have to get this Mac Rebel!! Im seeing it everywhere. Thanks for the post. Purple always look nice on any type of face and skin of colour.you also looking good...please find some of the Makeup Products at our site.